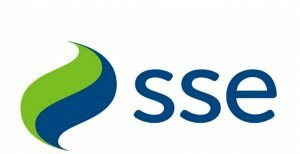 SSE Energy unbiased review: How do they compare? If you’ve heard of SSE Energy, they may not have been great things. But are they true? How does SSE match up to their competitors? Let’s take a closer look at this vast energy supplier. in 1998 when Scottish Hydro Electric and Southern Electric merged. 20 years later, SSE is now a huge supplier of electricity and gas in the whole of the UK, second only to British Gas and has millions of customers. SSE also offers a programme for loyal customers, which gives customers the opportunity to purchase tickets in advance. SSE has arenas in Belfast, Wembley and Glasgow. SSE offers their customers a variety of tariffs to suit their needs, which are mostly differentiated by how long you can fix your energy costs, as the projected monthly costs are under £10 apart. Fixed: Fixed rates mean that the cost of your energy per kWh is fixed, so while your monthly costs will rise and fall depending on how much energy you use, your energy prices will remain the same. These rates are usually fixed for a set period, like SSE Energy’s three years fixed v3 tariff. As well as offering their customers electricity and gas, SSE also offers these benefits to their customers. Smart meters are a new generation of meter that tracks your energy usage in real time, so your supplier can bill you accurately. Your smart meter will submit readings for you, and thanks to the in-home monitor it also allows you to start understanding where your energy is going and how much it costs you. You can lower your overall costs by tracking your spending and seeing which appliances are costing you the most. With SSE Energy’s boiler and heater service, customers have access to these services. When it comes to customer support, SSE Energy does not have many positive reviews on Trustpilot, as the vast majority are in the negative category. Not only have customers expressed problems with their service, but reports also state that complaints aren’t handled for 6sixweeks. To make things worse, there are no customer service agents replying to negative reviews on Trustpilot. That was the quickest, nicest, and most informative customer service, and products that someone needs. Anytime, and anywhere in the world. I would highly recommend this digital service as the top site for your purchase needs. Everything is awful, from prices to customer service. I’ve received emails and post on an almost daily basis about Smart Meter installations being carried out in my area and their “commitment” to rolling them out for the last 6 months, but every time I enquire, I’m told not yet. ANNOYING! SSE Energy generally doesn’t have a positive customer reputation, with only a 1-star rating on Trustpilot. 80% of their online reviews are negative, with only 10% positive and the rest falling somewhere in the middle. Many of the negative reviews state that customers have been overbilled for their energy, administration problems and poor communication. Online reviews aren’t always accurate, so it does not necessarily guarantee that you will receive a bad service, however you should take these reviews into consideration when deciding whether to switch energy suppliers. Monday morning heating engineer arrived. Fixed boiler. Serviced boiler and checked all radiators, we are now signed up for annual cover. Can’t fault them at all. Well done SSE. Absolutely horrendous. Moved into my flat in November 2017. It took them forever to set up my gas and electric. Finally set it up, and continued to pay my bills by direct debit. I then started to receive letters saying that they are going to send debt collectors to my home. SSE might be a good fit for customers that want the stability of a large energy supplier, who can benefit from their wide variety of extra services like boiler and heating cover.